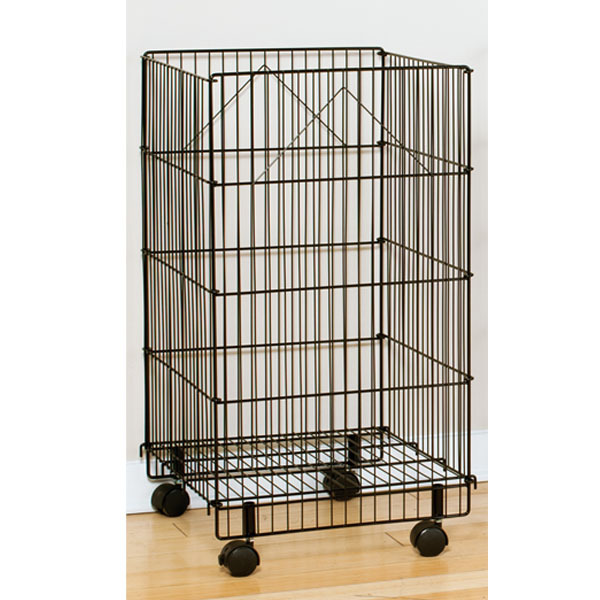 Space saving large capacity wire bins folds for easy storage. The Mobile Impulse Bin features an adjustable bottom for displaying a variety of merchandise. Add your own sign to attract attention and highlight special merchandise or sales. The Bin includes V clip sign holders and locking casters. Some assembly required.